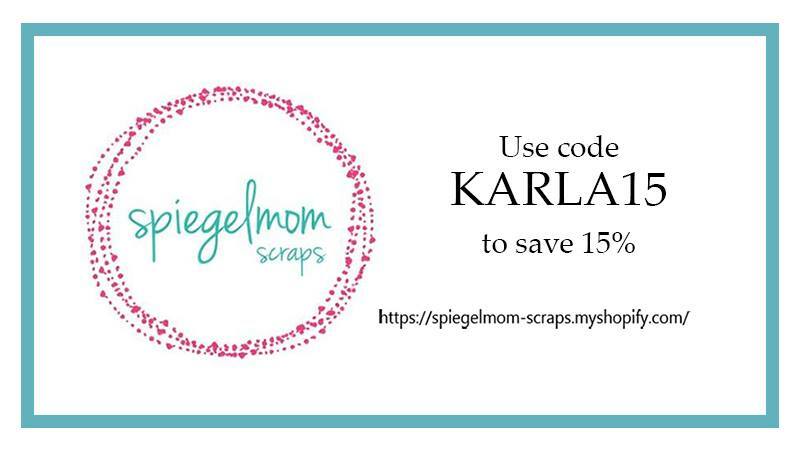 Karla Yungwirth Designs: SpiegelMom Scraps - Gift Bag, Shaker Tag & Card Set! SpiegelMom Scraps - Gift Bag, Shaker Tag & Card Set! Hi friends! I'm over at the SpiegelMom Scraps blog today sharing a gift set that features an adorable purse made out of a 12x12 piece of patterned cardstock along with a coordinating shaker tag and a card - just perfect for someone sweet! Our theme this month is tools, and I grabbed a lot of fun tools to add neat elements to my projects. The purse was so fun and easy to do using this step by step video HERE. Then, I added a sweet shaker tag with an eyelet - remember those 😉?!! With the coordinating paper I made a Christmas card to go with the set, and I can't wait to share this with someone for a holiday gift! 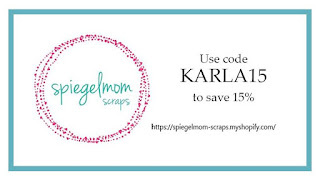 Be sure to check out the SpiegelMom Scraps blog for all the details, closeups and a look at all the fun tools I used- and don't forget to use the code KARLA15 to save 15% off all your purchases at the SpiegelMom Scraps store! Thanks so much for stopping by today! Have a wonderful week and weekend ahead! Wow, this is so beautiful!!! Best greetings, Nora. SpiegelMom Scraps - Happy New Year Shaker Card! Bright Lights Blog Hop with Scrap 'N Stamp! SpiegelMom Scraps - Crazy Bird Christmas Card! Special Day YNS Troll BirthdayTag!